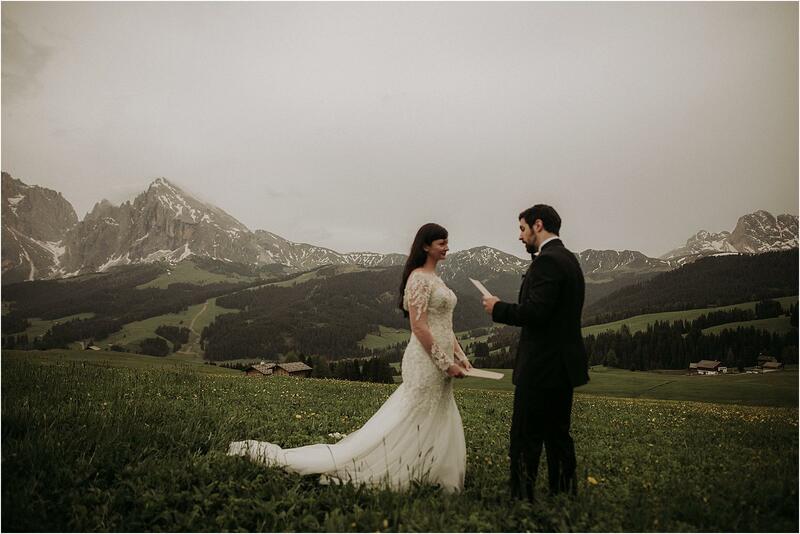 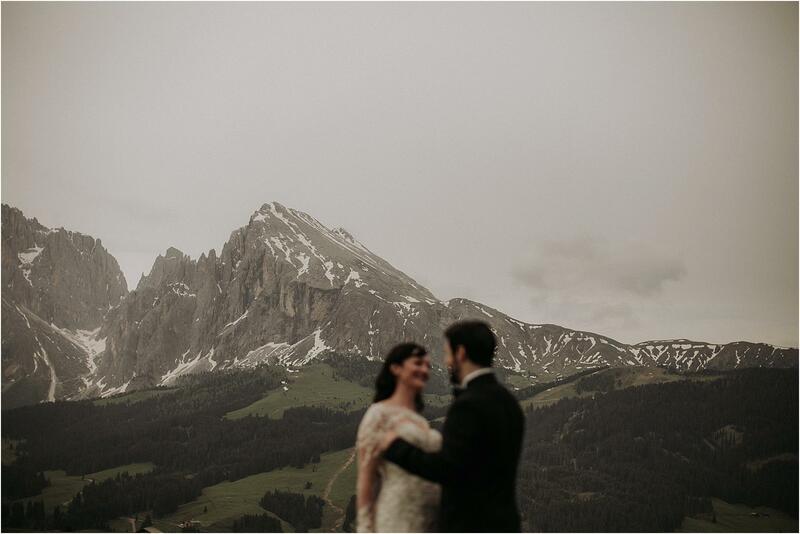 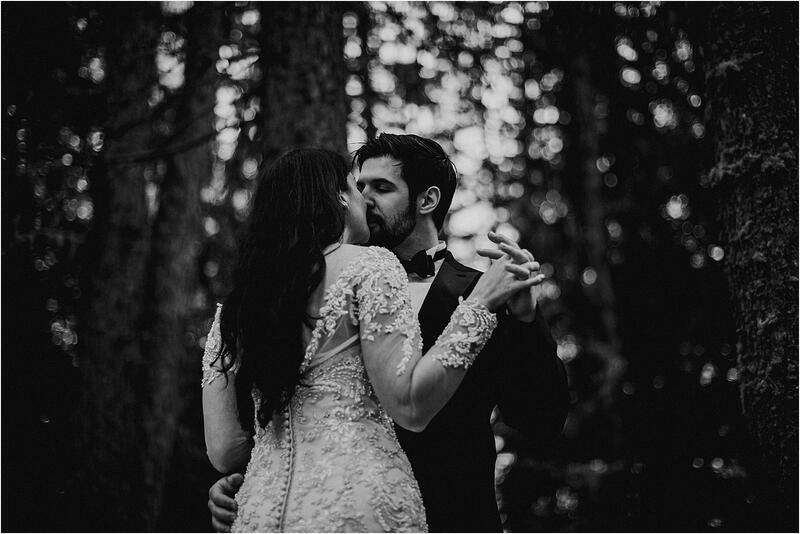 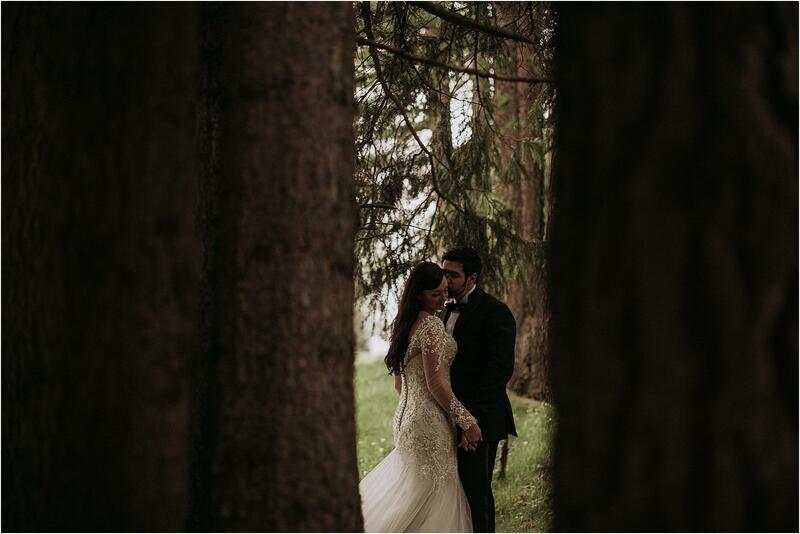 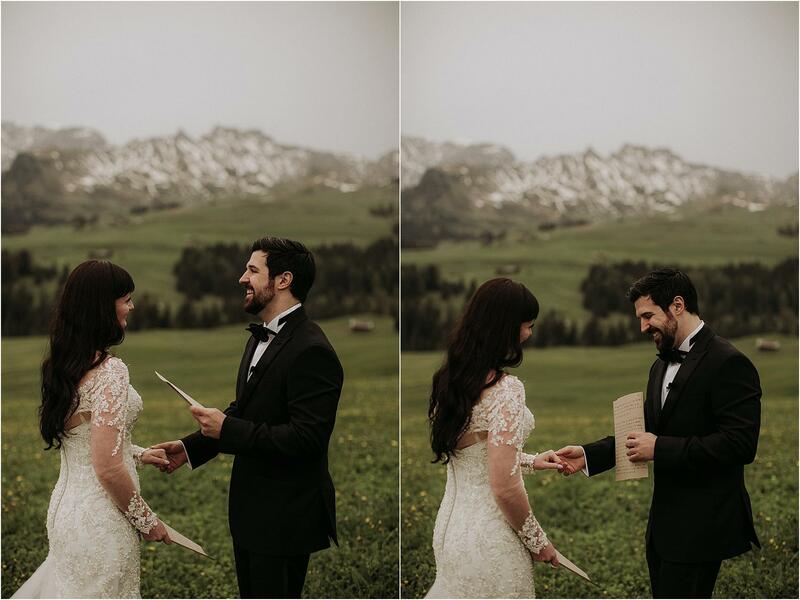 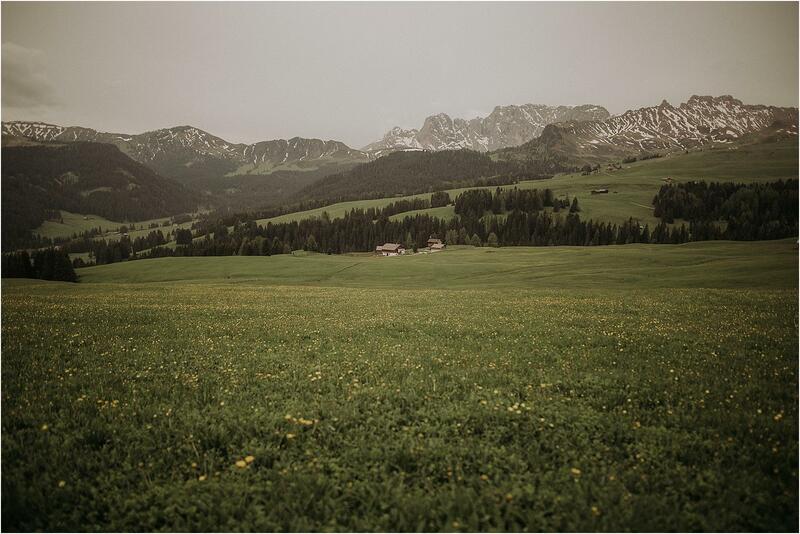 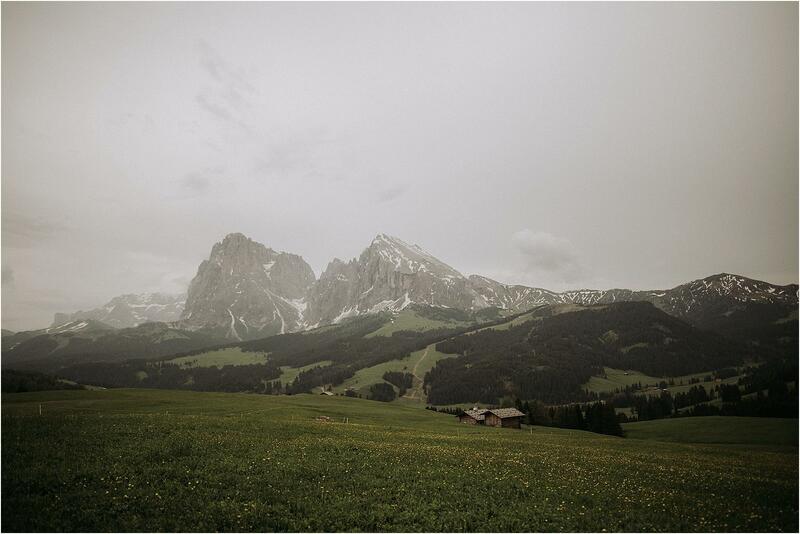 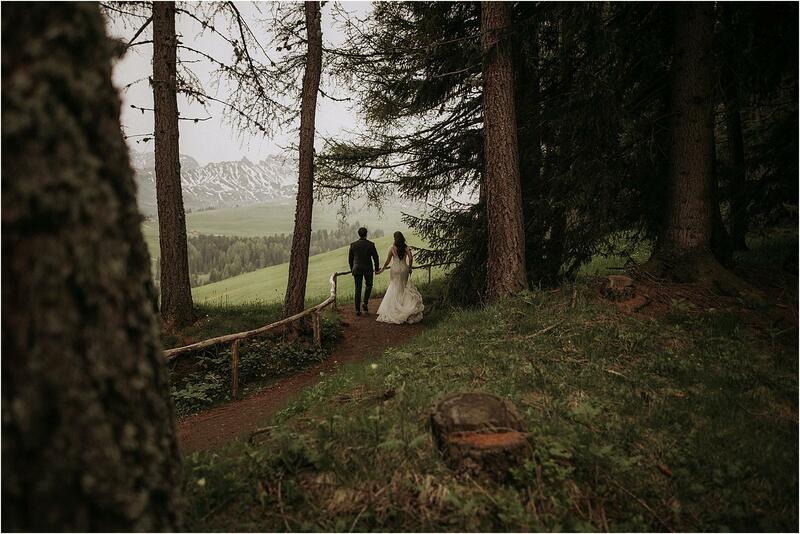 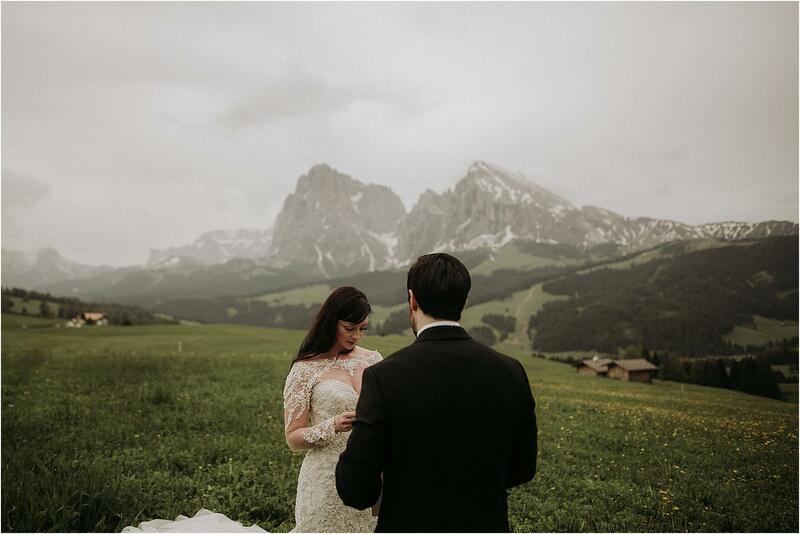 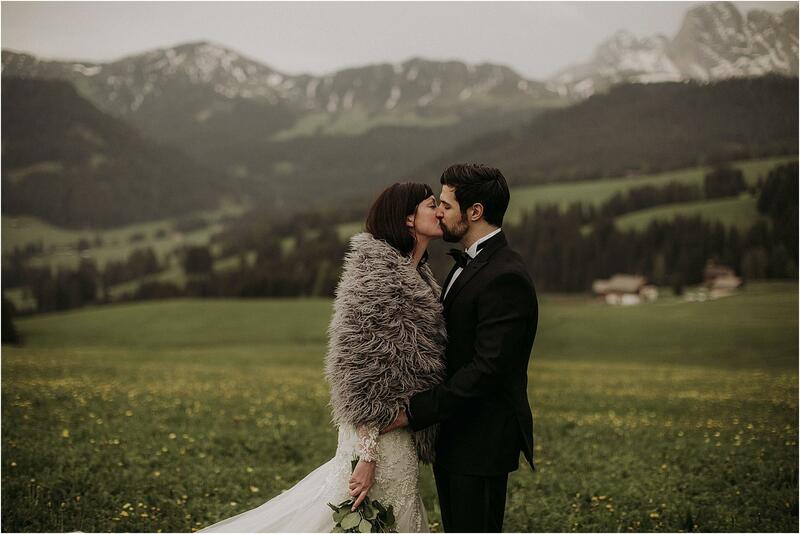 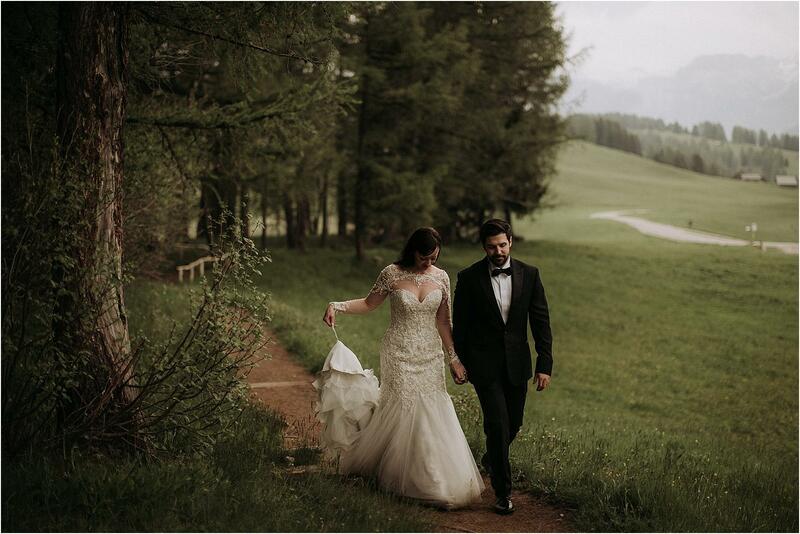 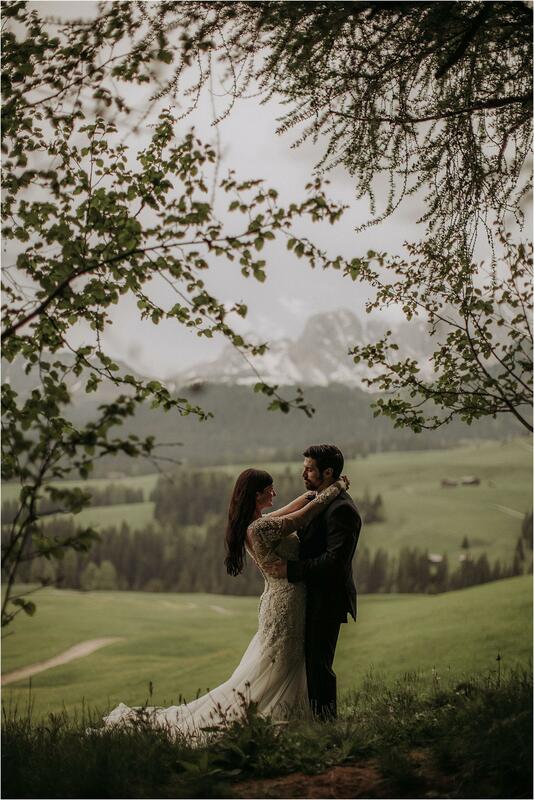 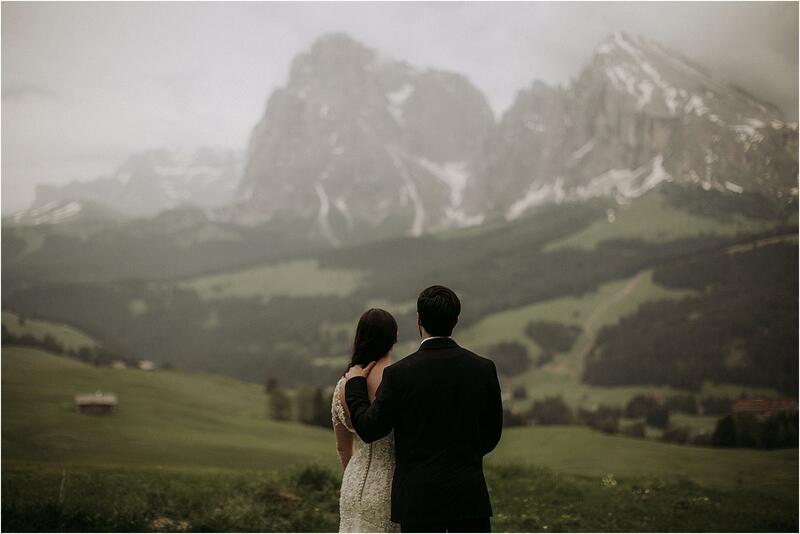 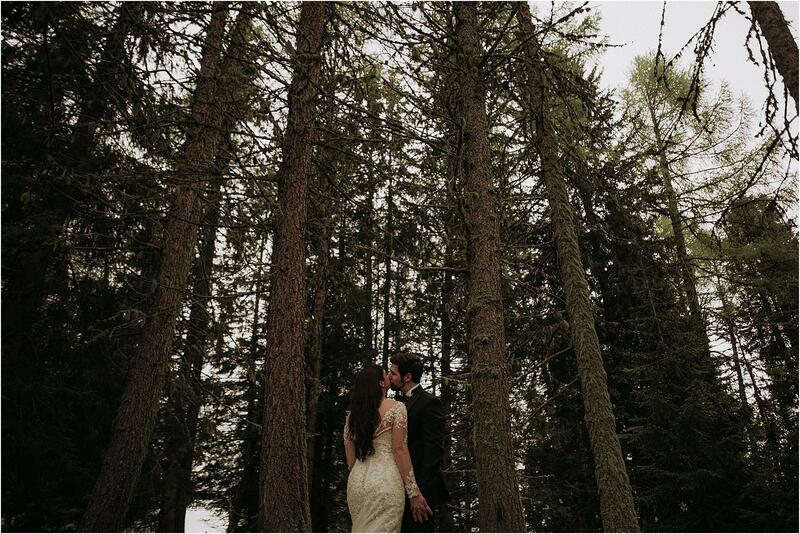 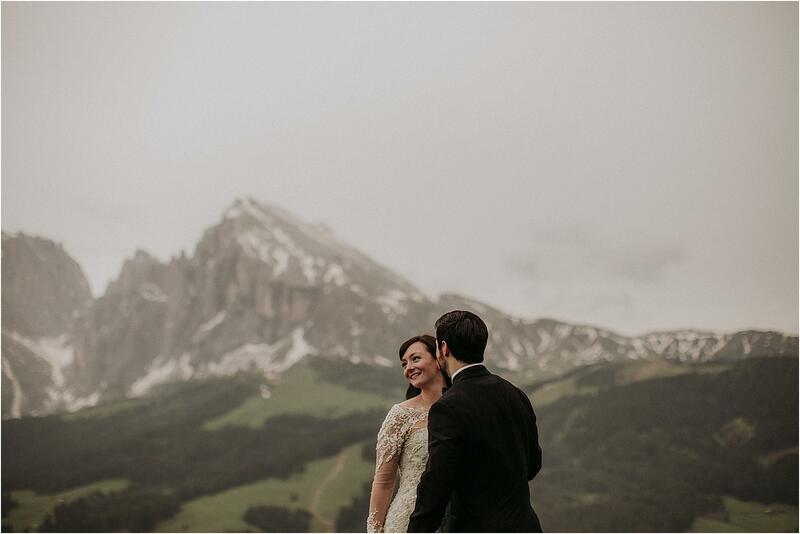 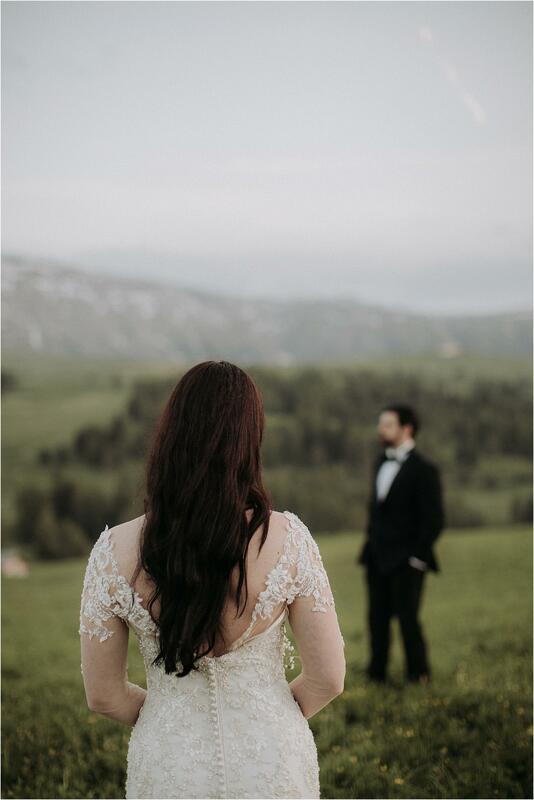 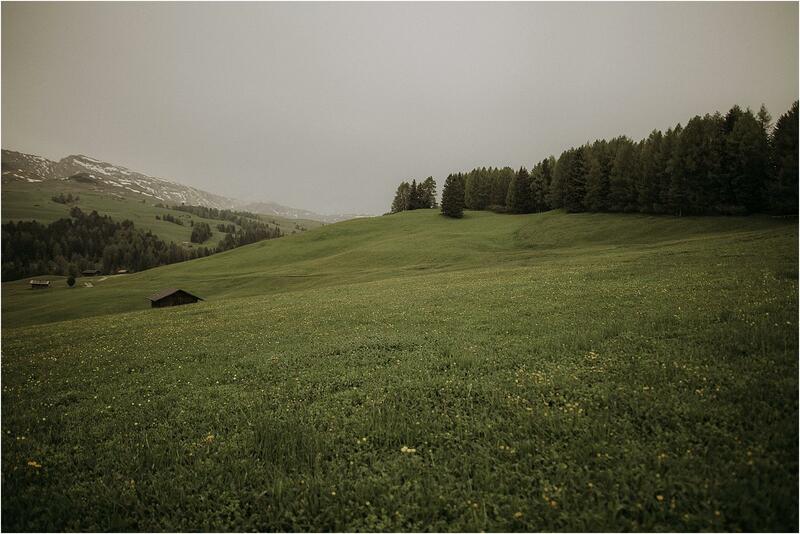 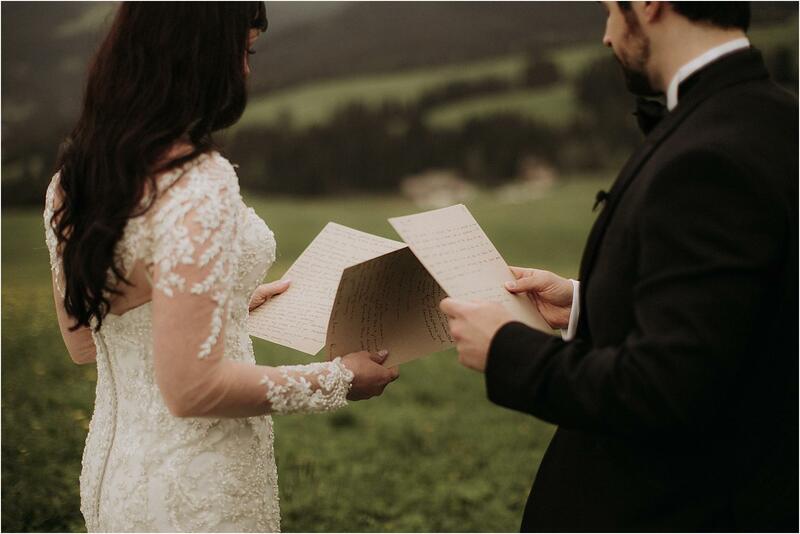 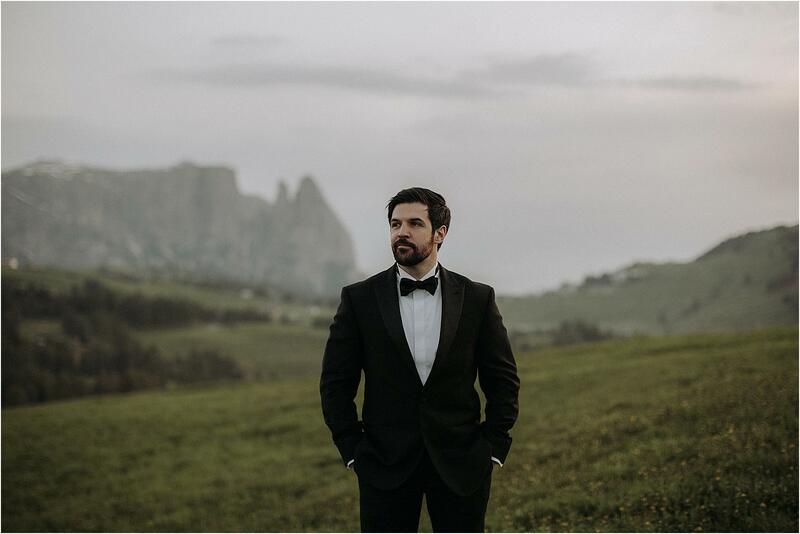 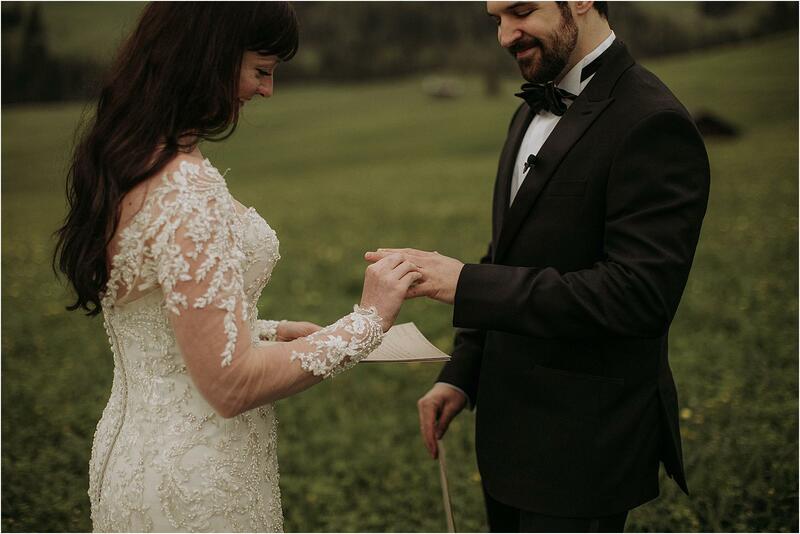 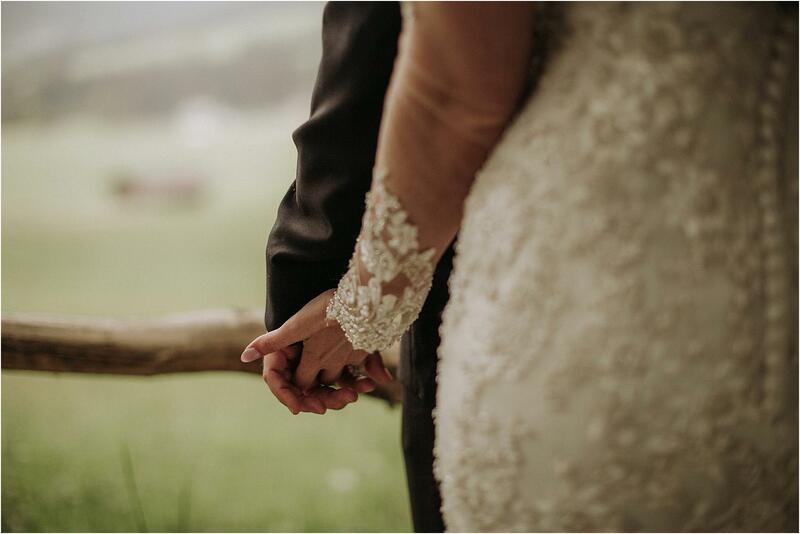 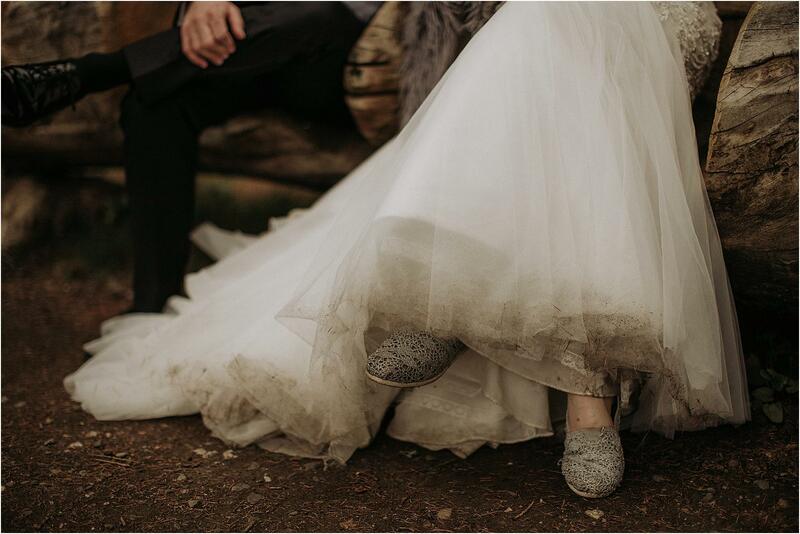 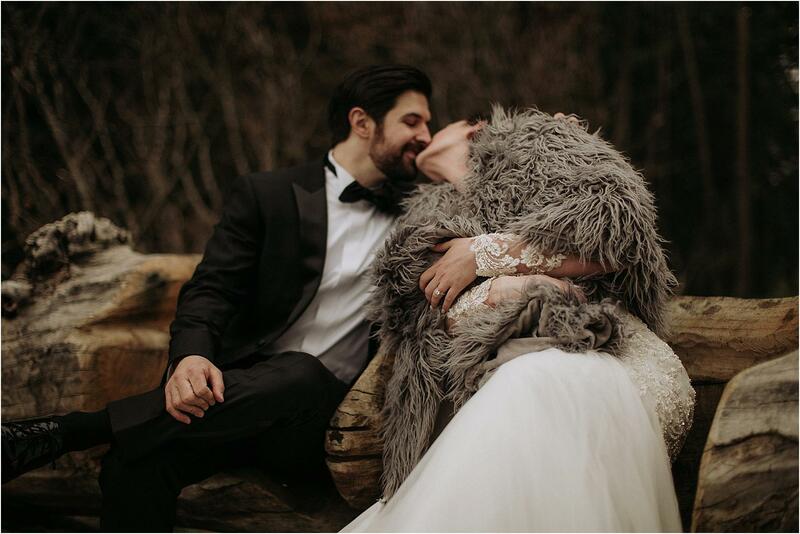 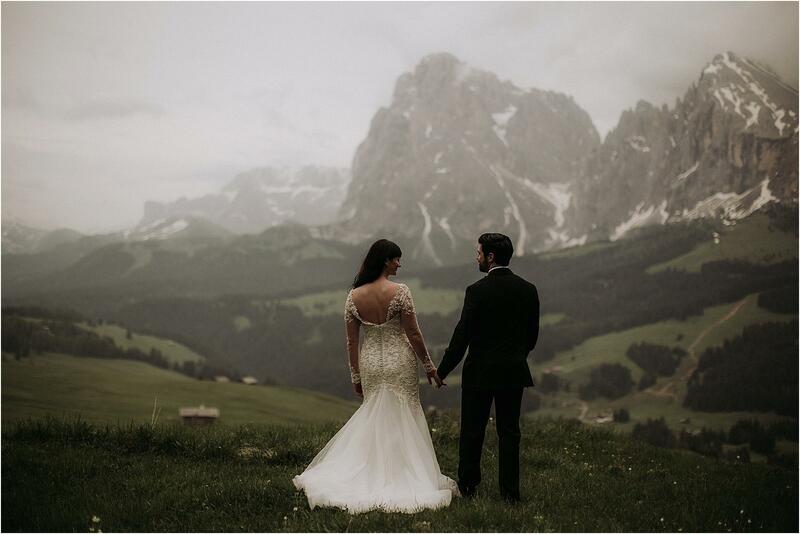 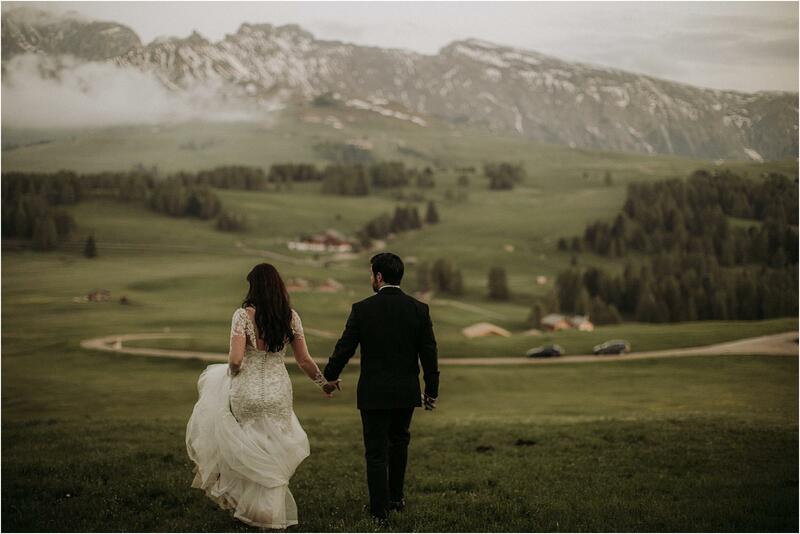 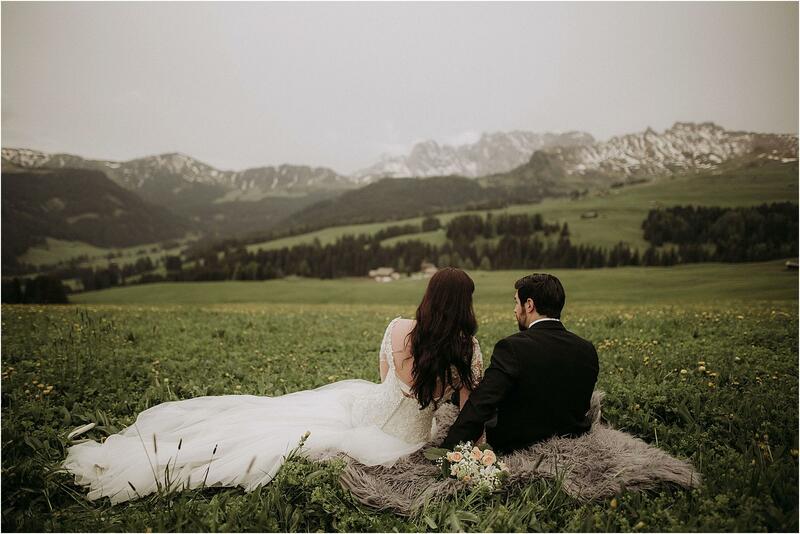 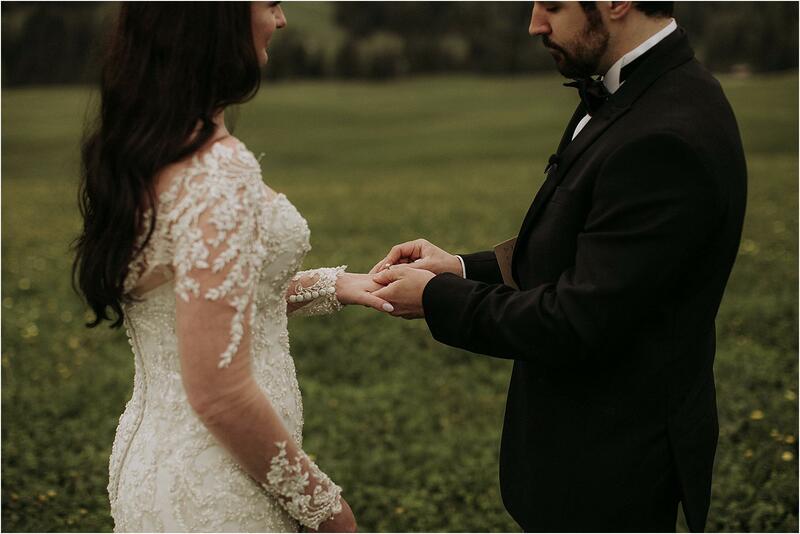 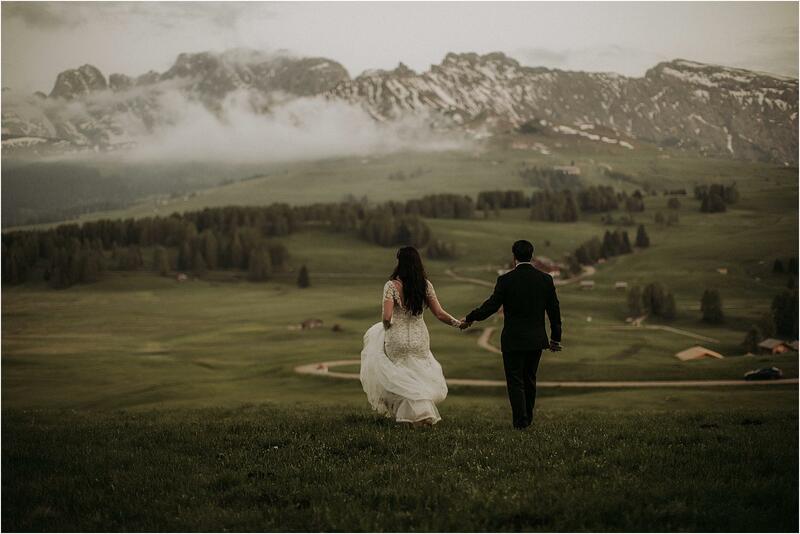 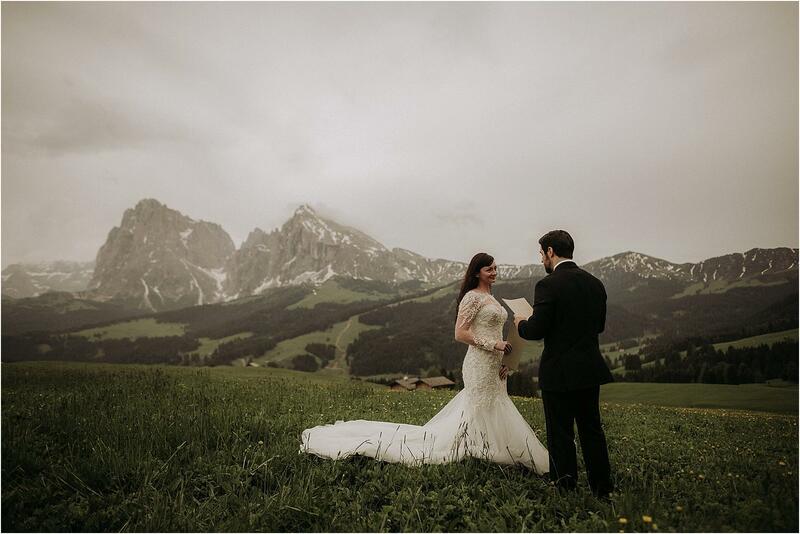 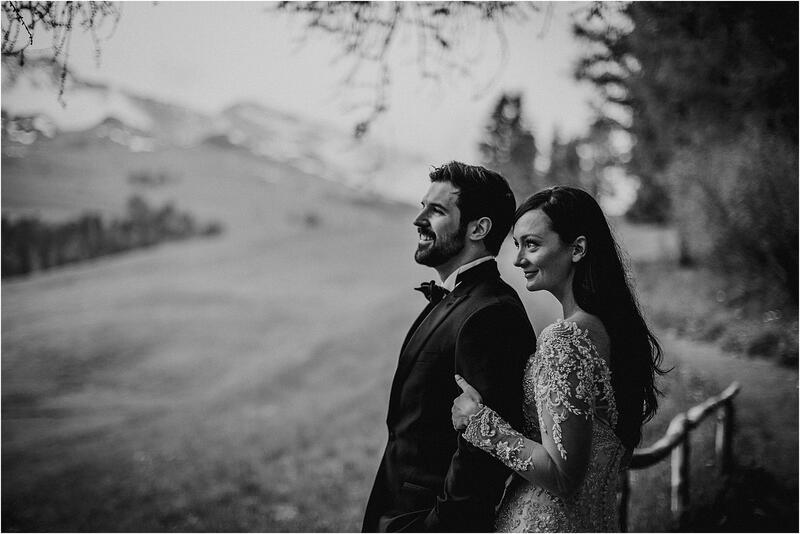 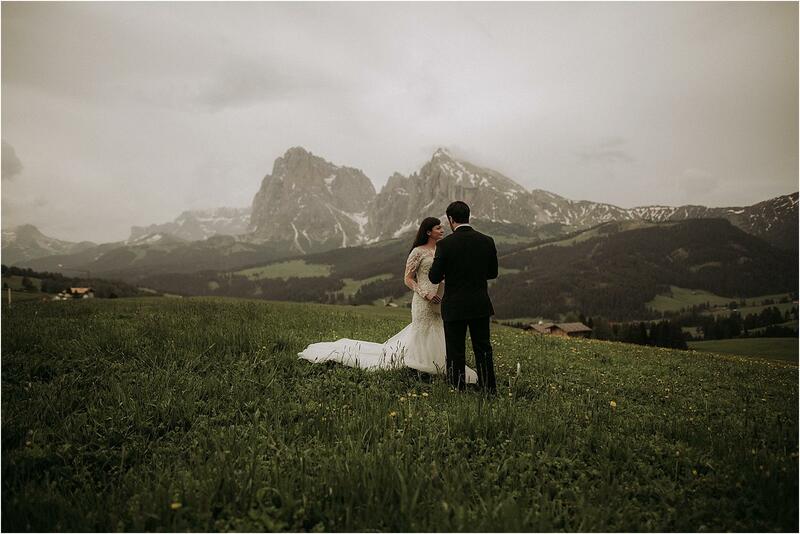 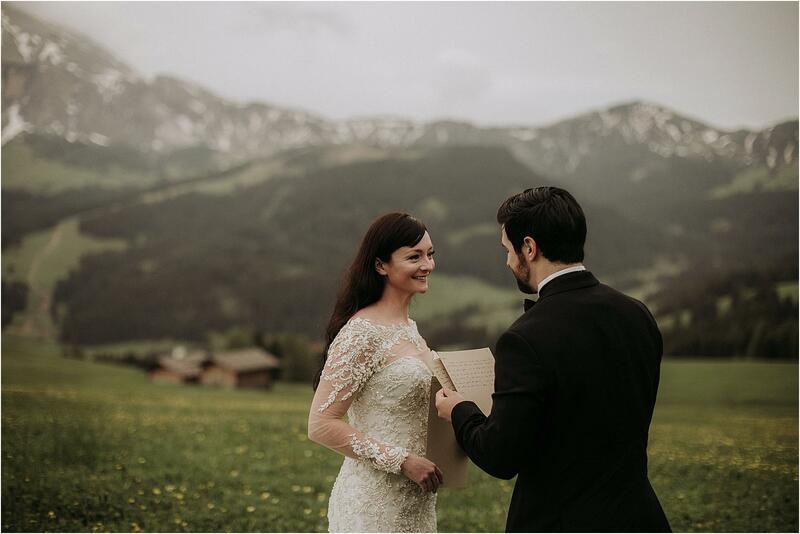 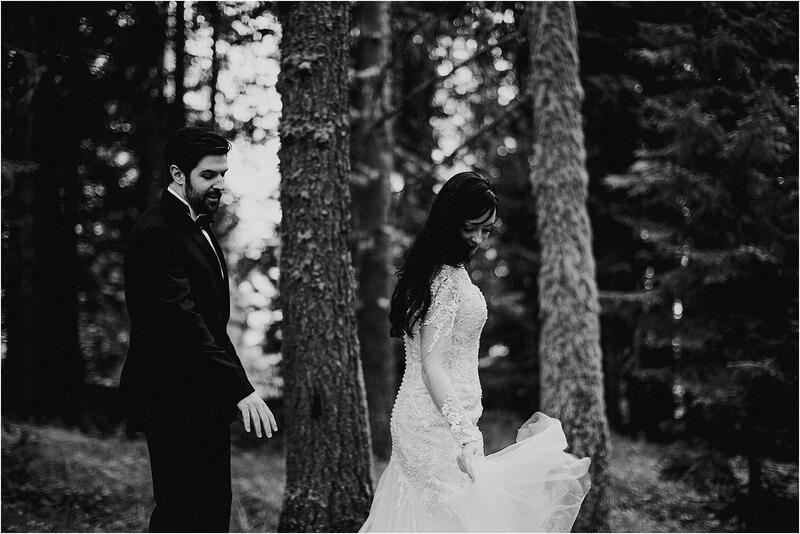 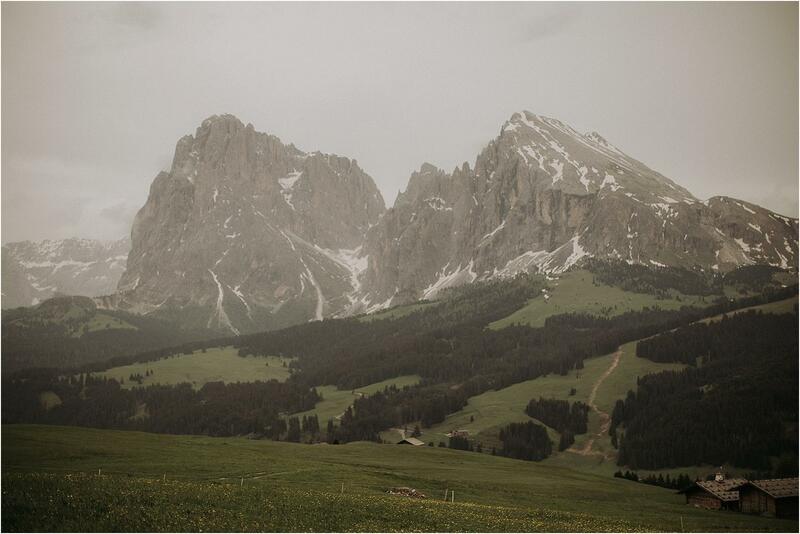 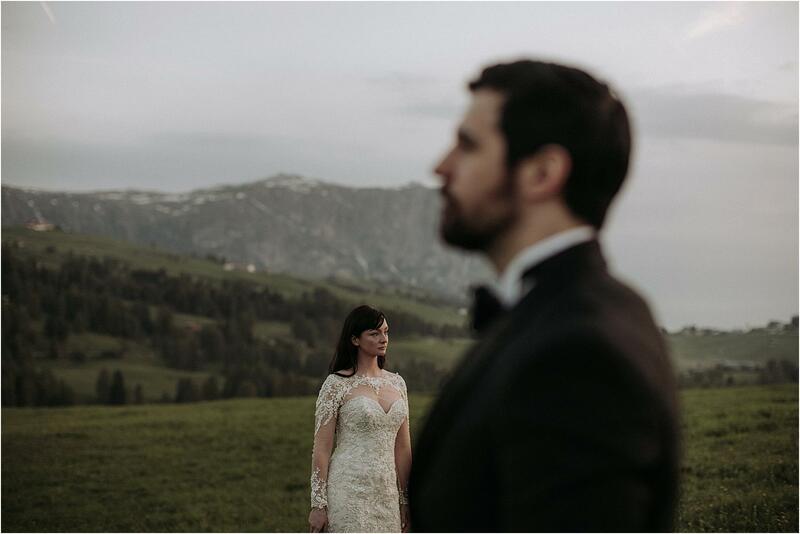 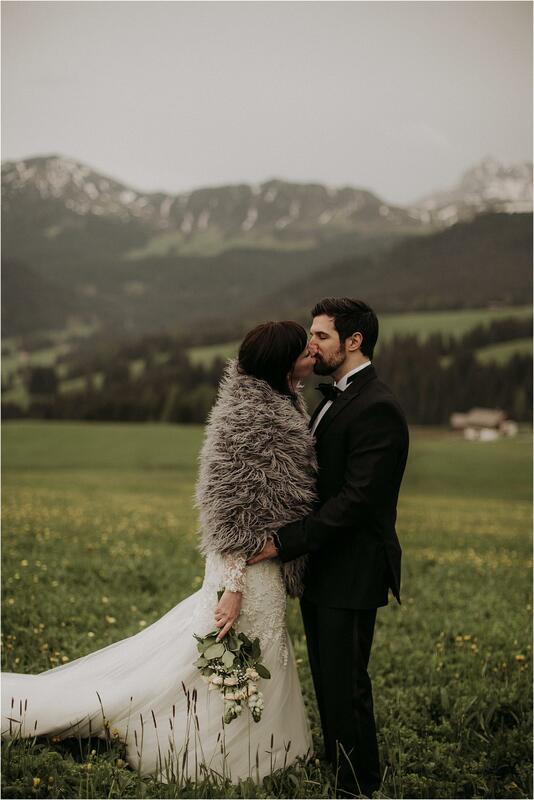 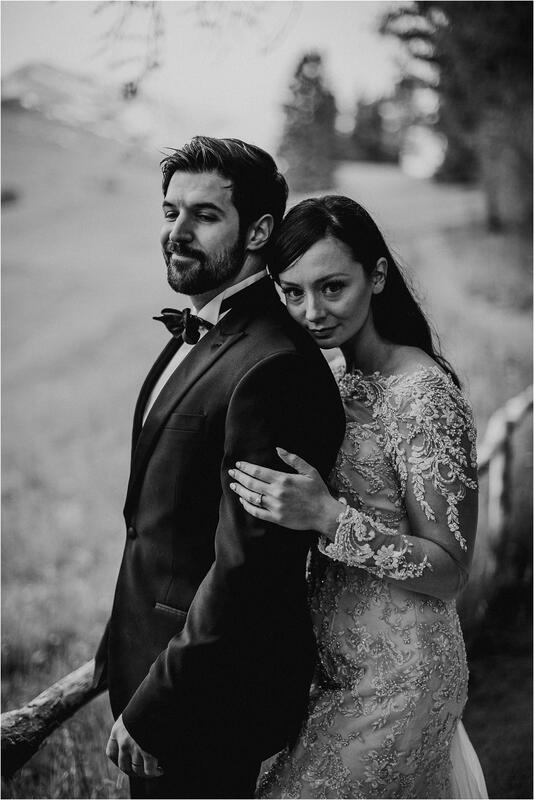 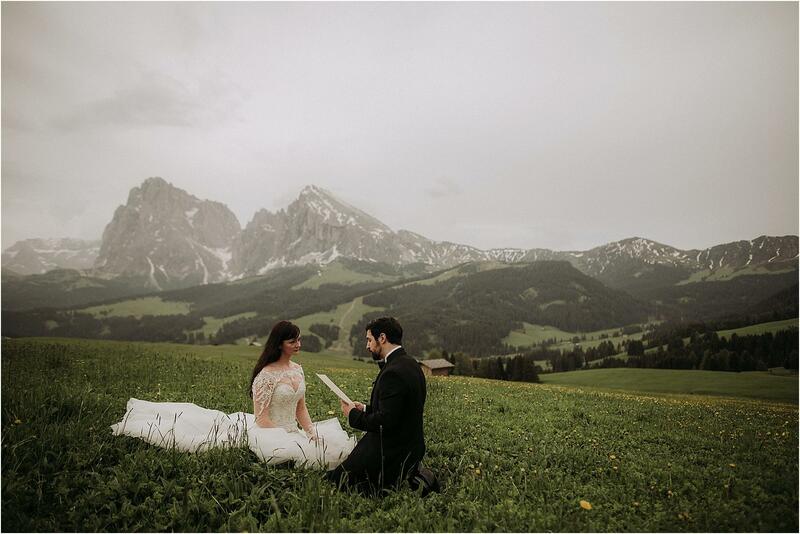 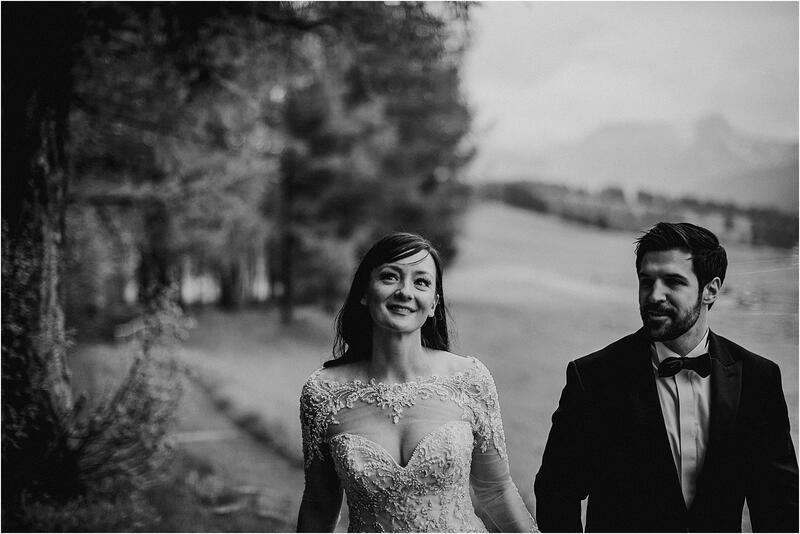 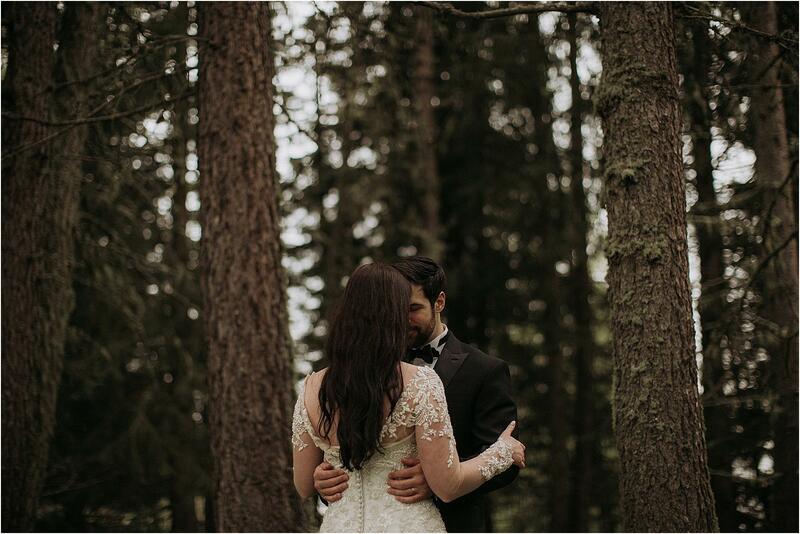 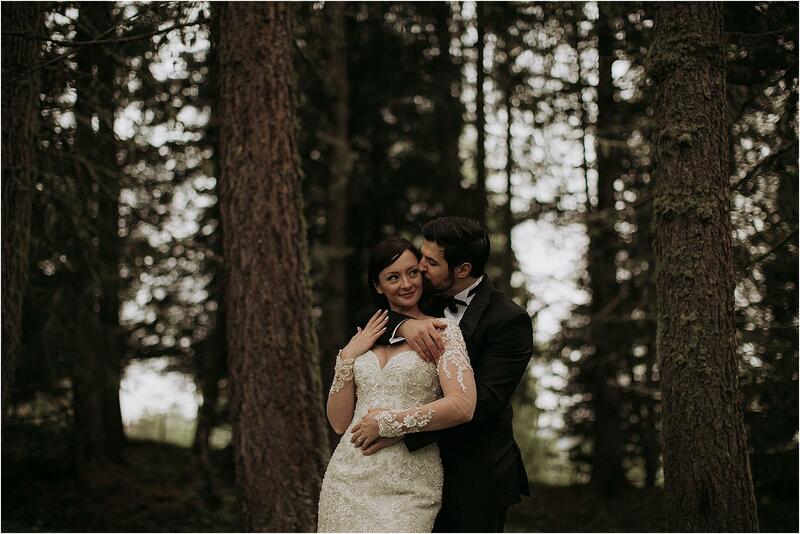 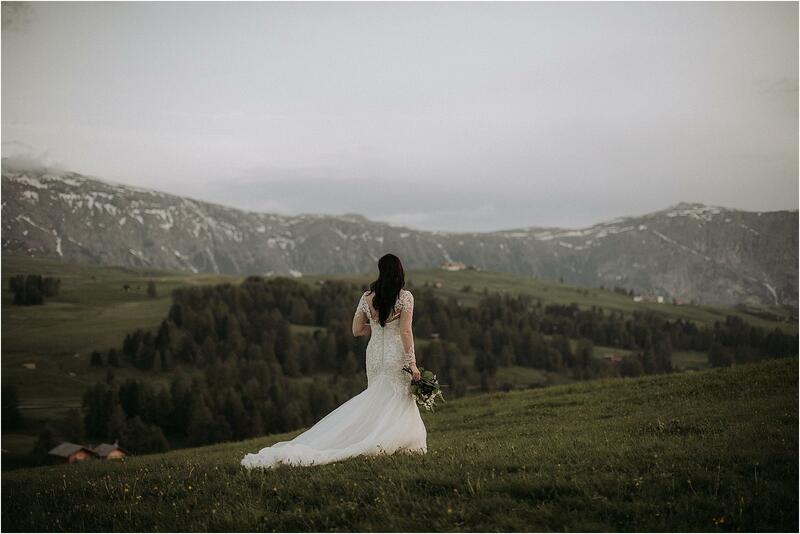 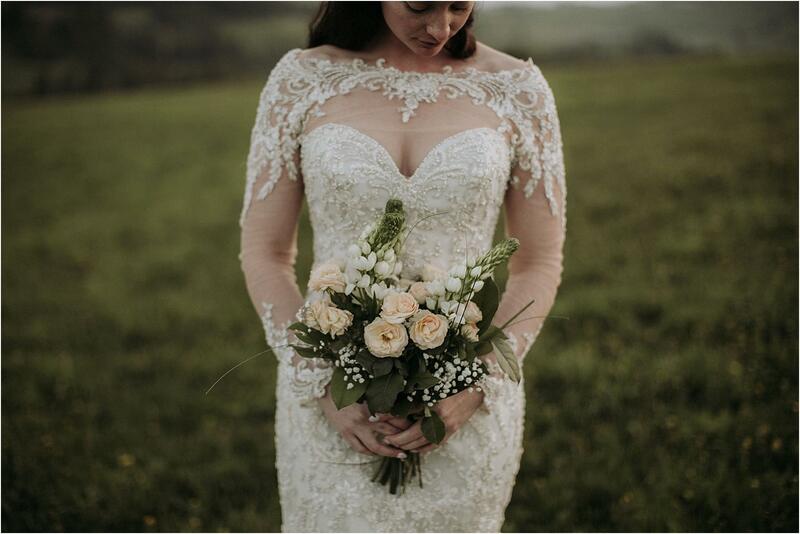 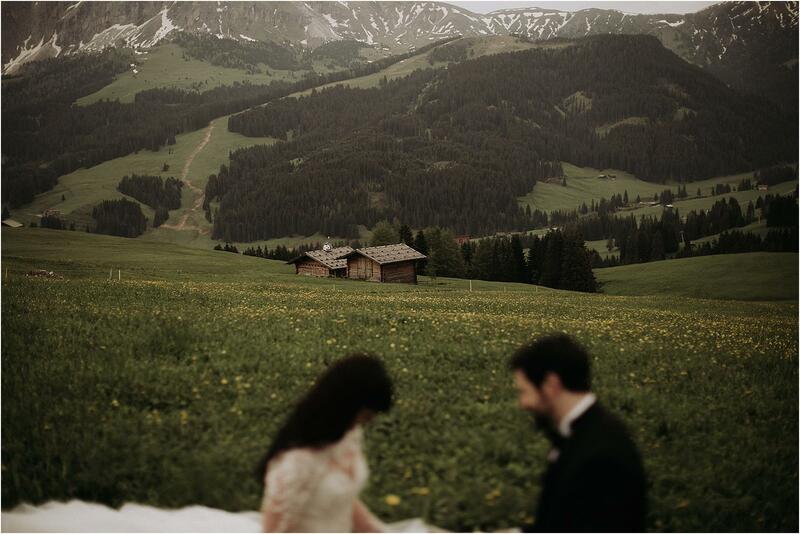 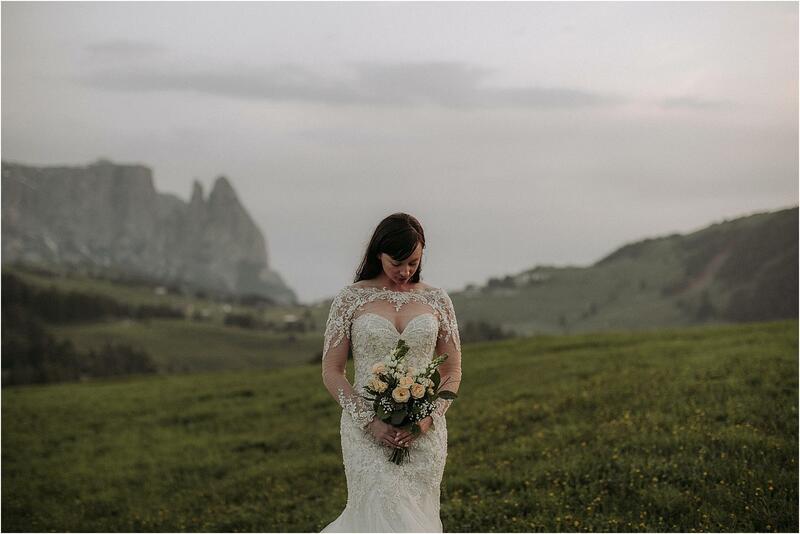 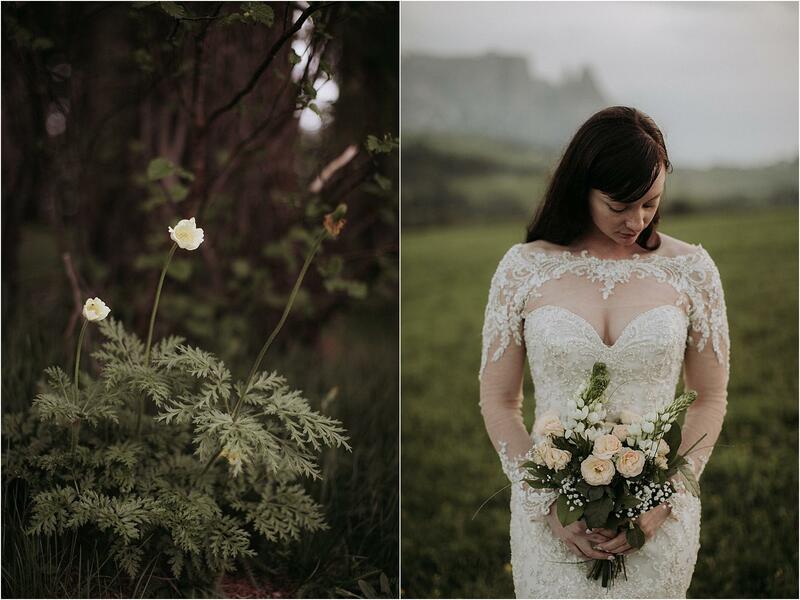 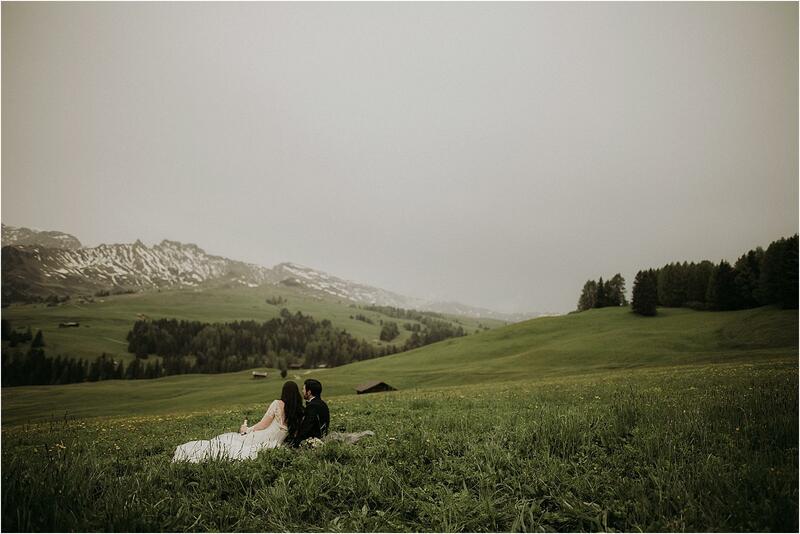 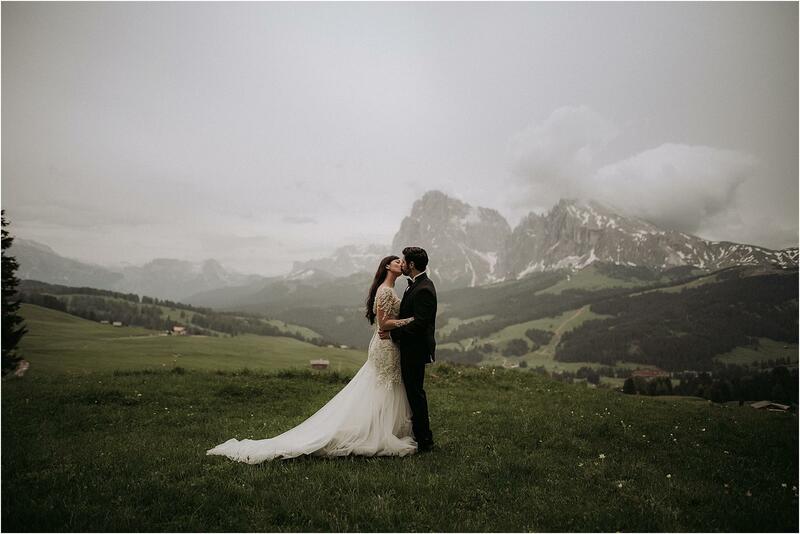 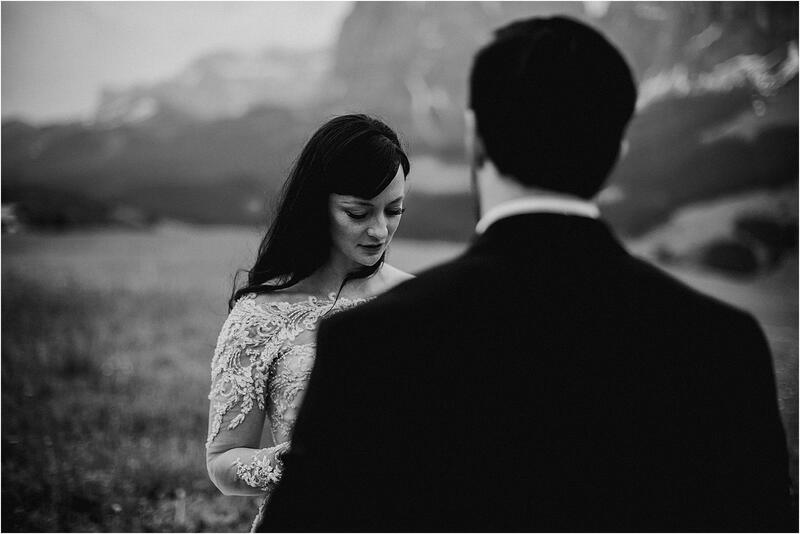 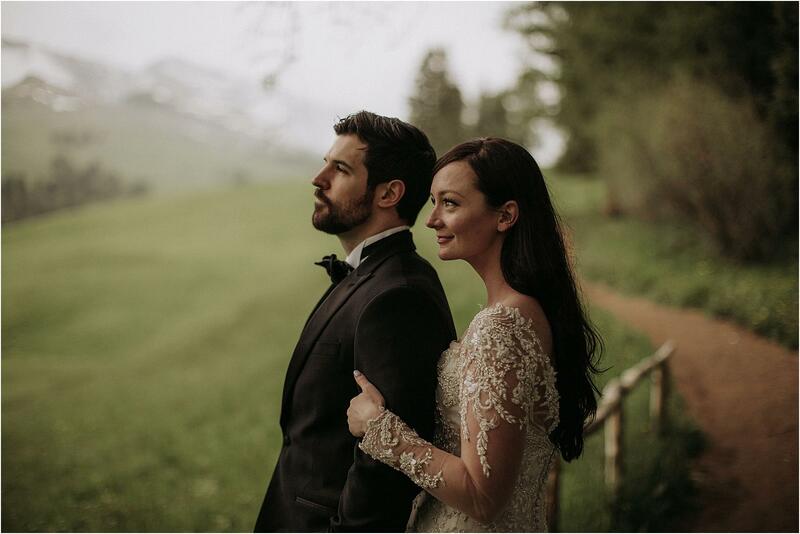 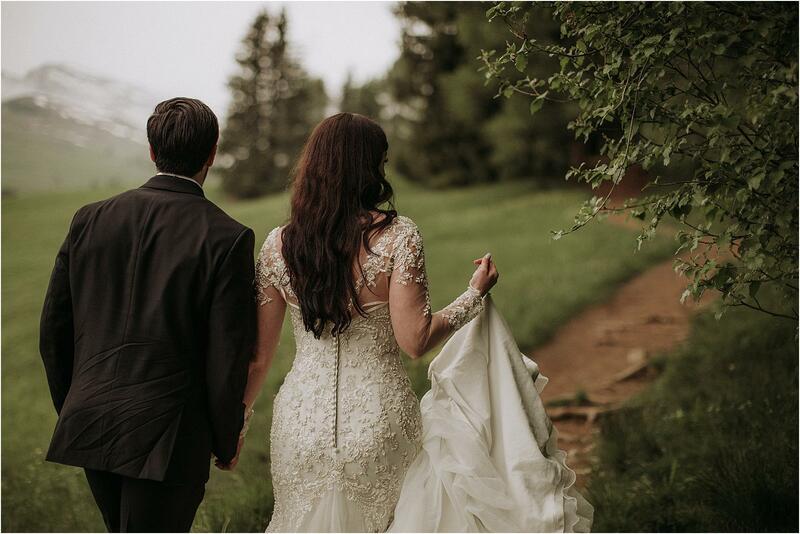 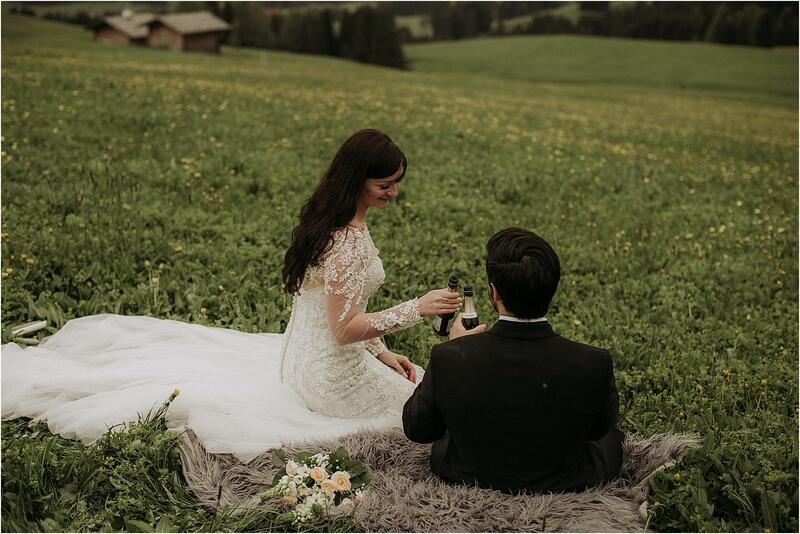 What about the elopement of Liza and Trace in the Dolomites? 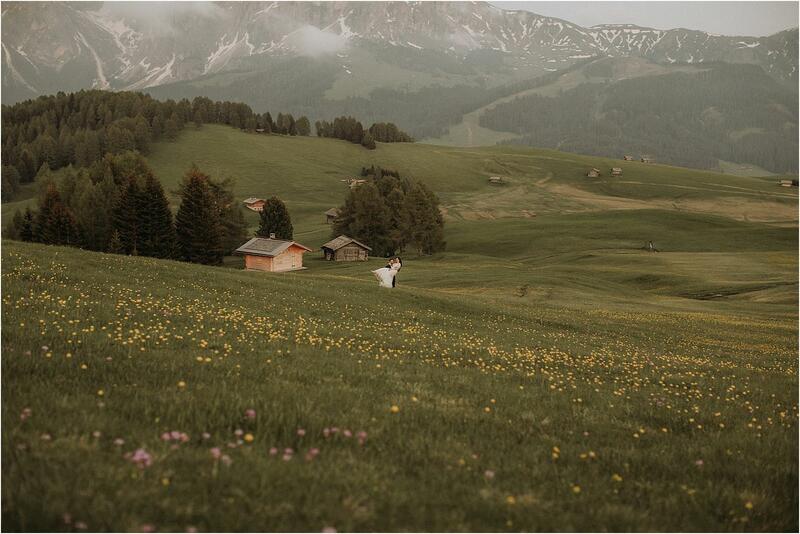 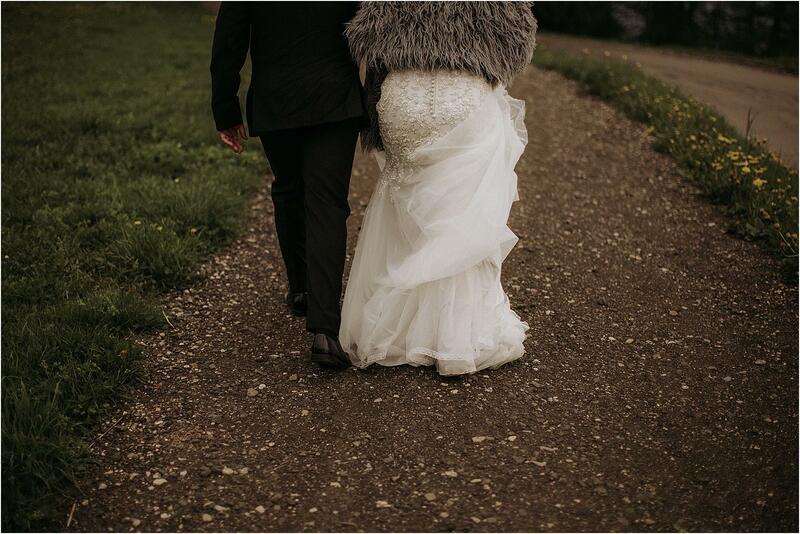 I think it’s exactly what a destination wedding photographer would like to do every day. 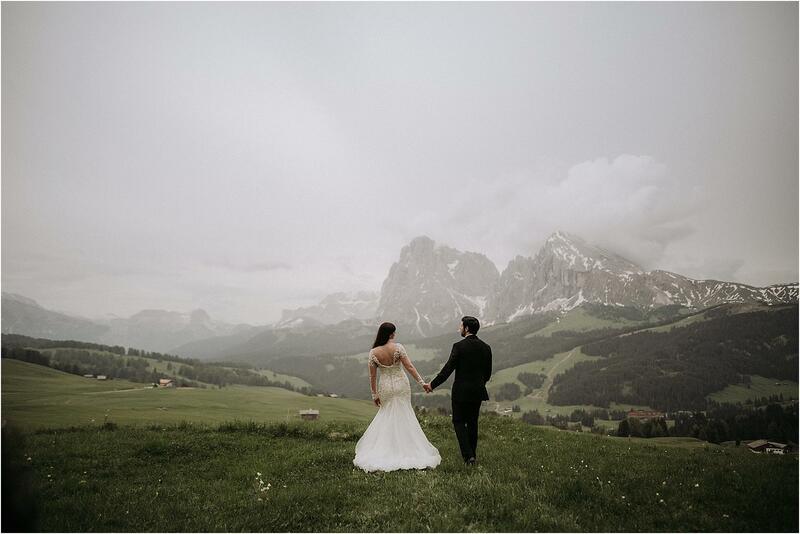 These two guys arrived from Washington to exchange their promises in the nature of the Italian Dolomites. 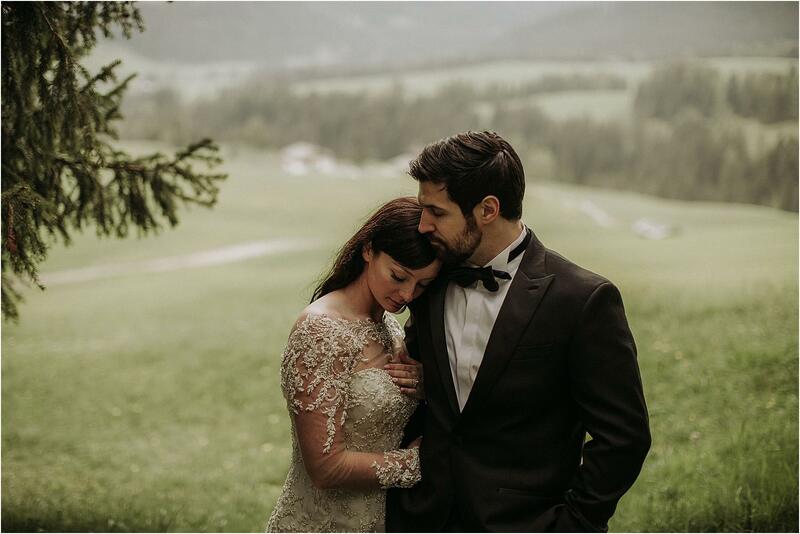 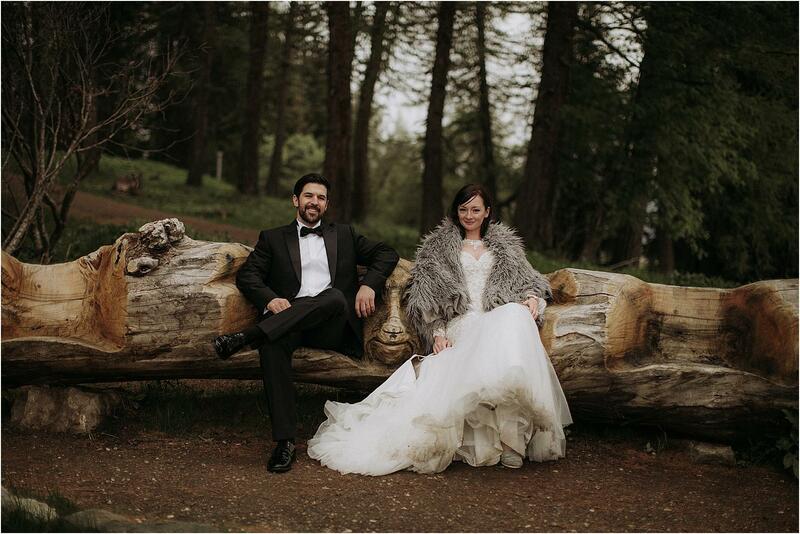 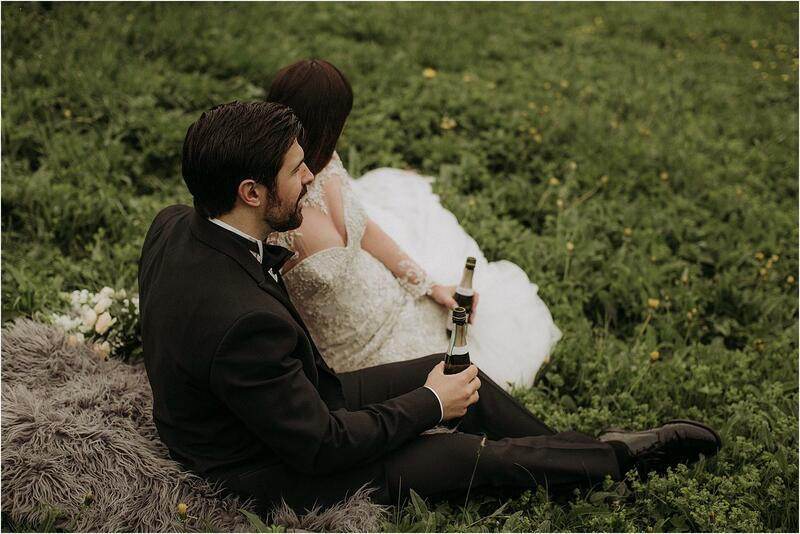 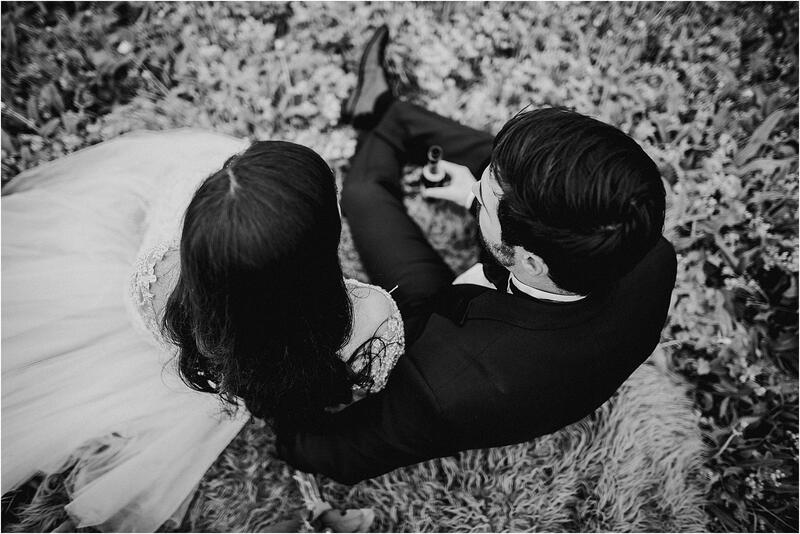 It was a very intimate and emotional symbolic ceremony, in an almost fairytale atmosphere. 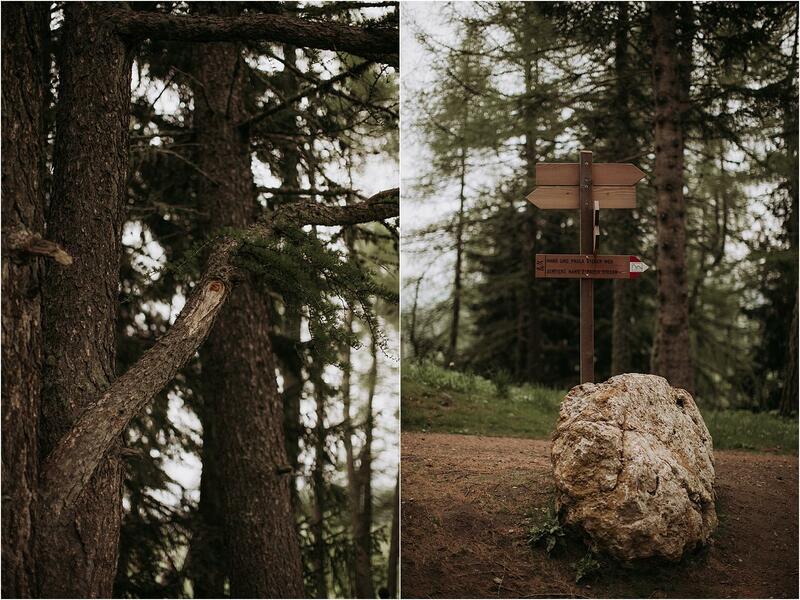 We were only in 4: Liza Trace, Alberto and Alessandra. 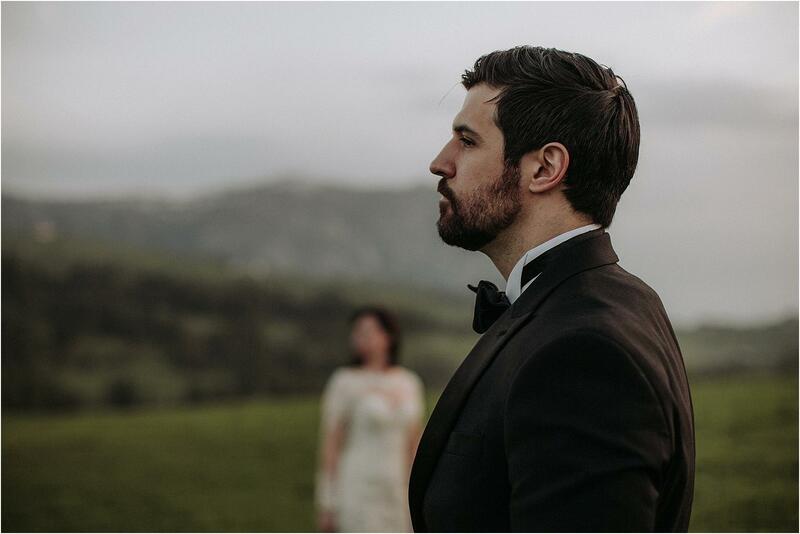 In such a context, it was impossible not to be moved and not to participate emotionally in this event. 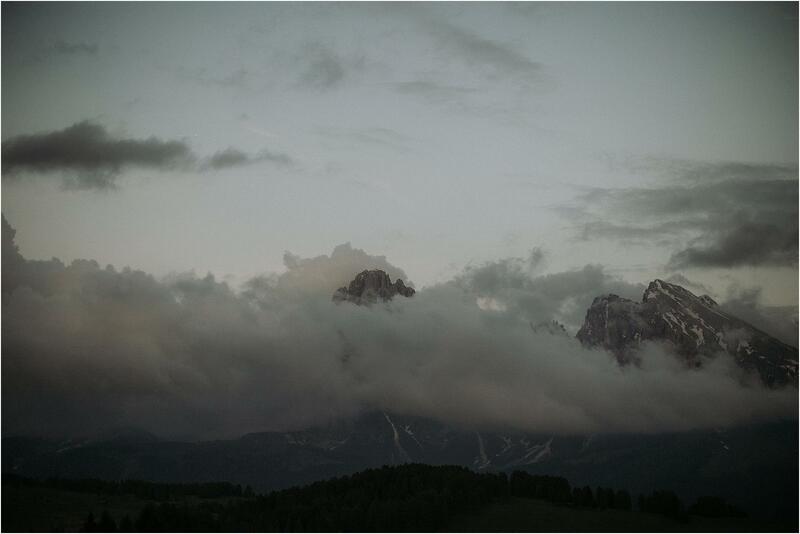 The sun didn’t shine that day … on the contrary, gray clouds accompanied us throughout the day, threatening rain. 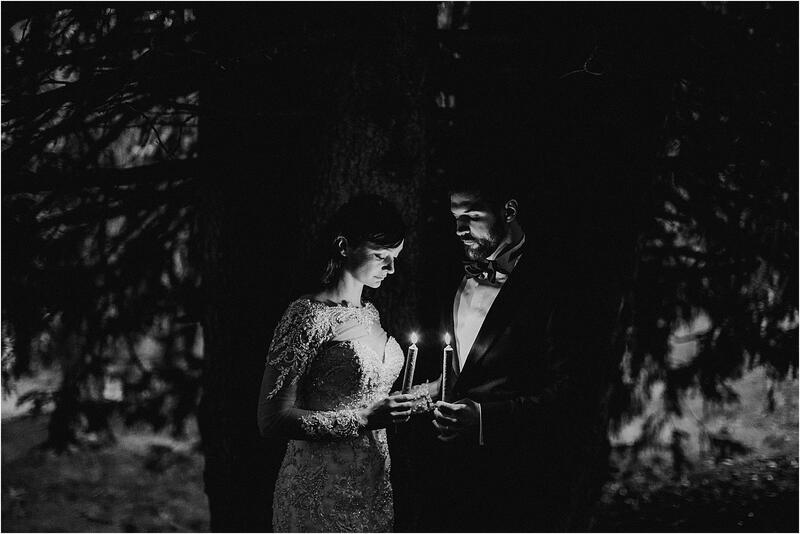 A decidedly moody atmosphere that made everything even more intense. 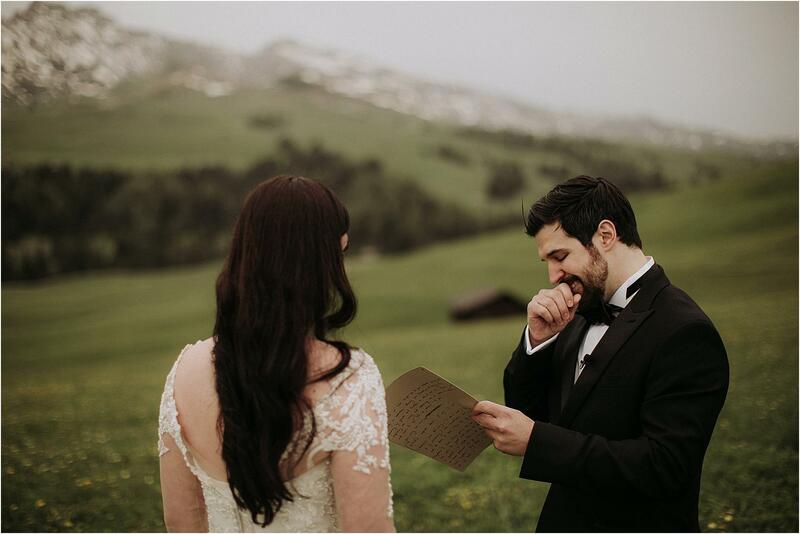 We hope that, seeing the photos and the video we’ve made, you too can experience the same emotions.